WOOD LIBRARY PAUL'S GUITAR RUN! 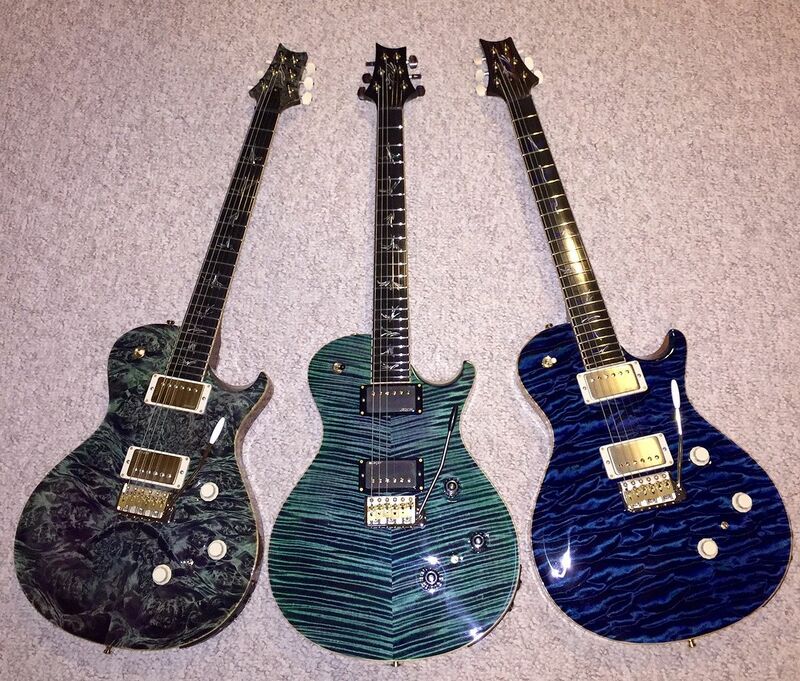 Discussion in 'Authorized PRS Dealers' started by Brian G, Aug 25, 2018. This run is going to be insane. garrett, alantig, Rich5150 and 2 others like this. Killer run! Don’t think I’ve ever seen a Paul’s guitar with a maple fretboard. Agree on the number 6 too although 10, 8, and 7 are gonna be awesome too!!! One through ten - Wow! I love that top. When I get one I’ll orient the top the other way. I think brushstroke birds are my favorite thing about a Paul's guitar, do people not like them? I like them. We were going to put them on Mrs’s top secret private stock Santana. No hate here, but a Paul's Geetar with non brushstroke birds is a rare bird. bird. sergiodeblanc and Alnus Rubra like this. I’d say #10 is #1. Looks like another amazing run Brian...do they have a special BG WL run area at the factory? These tops look awesome!